Conquest is a quality 3yo gelding, beautifully put together, well balanced and extremely correct, ready to break in. He has a delightful, trainable nature and his movement will impress the most fastidious dressage rider. 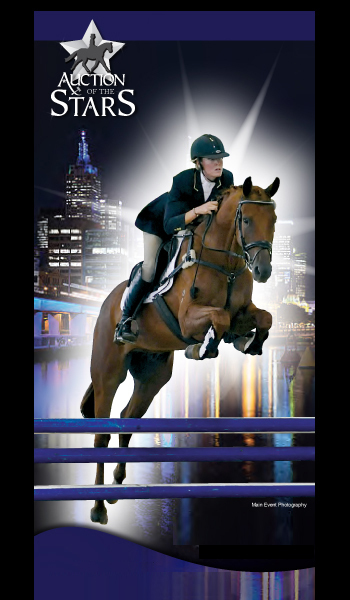 of dressage horses in Australia today. BP Conquest has ben lightly freejumped, showing great technique and scope, which is not surprising with the bloodlines of Carbine, Chico D�Oro (GP showjumper longlisted for Montreal Olympics) and of course the legendary Souvenir (through Koyuna Supreme), whose bloodlines have been represented in the past six Olympic Games. Conquest is a half-brother to BP Destiny who sold well at the last auction. 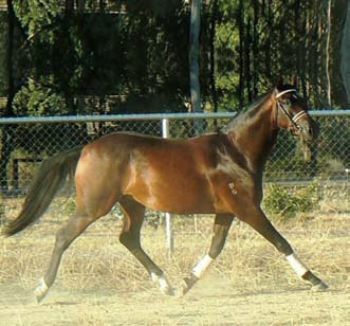 The lucky buyer can choose their discipline with this talented youngster, who is bred to succeed!